To the Chief Musician. With stringed instruments. On [a]an eight-stringed harp. A Psalm of David. Psalm 6 is the first of the penitential psalms. What is a penitential psalm? Well, it is a psalm that helps us to express repentance. David, the man who wrote this psalm, was a man beloved of God. He was also a king. Nevertheless, David was like us. David was a sinner. Unlike some, David mourned over his sins. In The Treasury of David, Charles H. Spurgeon provides his commentary on Psalm 6. That includes a list of the six other penitential psalms. Here how Spurgeon describes Psalm 6 overall. How can we use such a psalm? 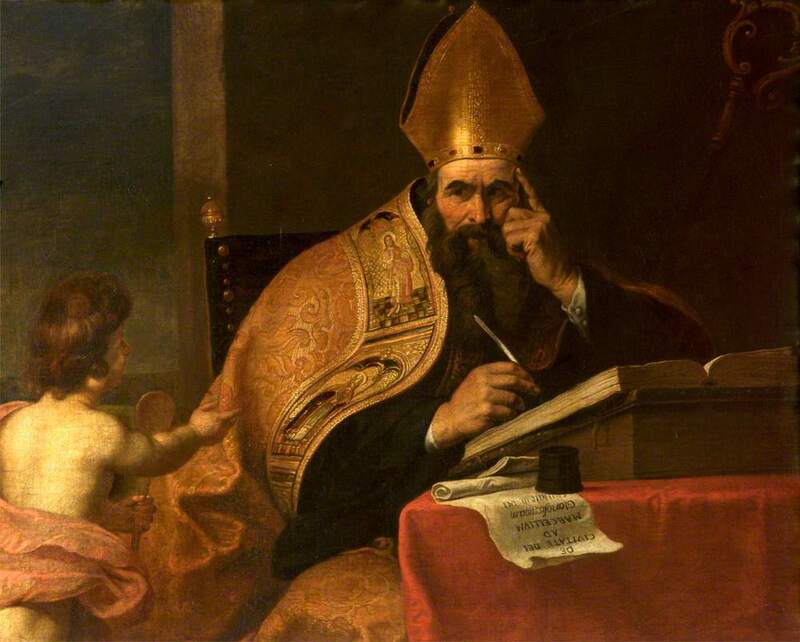 Well, we have the example of Augustine of Hippo. R.C. Sproul, now deceased, described (here in a Renewing Your Mind broadcast) Augustine was one of the most influential theologians who ever lived. Sproul says Augustine spent his final days in bed reading the penitential psalms. Wikipedia’s article includes these details. Whether we are haunted to wakefulness by a bad dream, rocked by dangerous experience, or lying on our death-bed, death is frightening. Augustine apparently found comfort in the penitential psalms, knowing that if we sincerely repent and ask for forgiveness our Lord is quick to forgive. The Seven Penitential Psalms and the Songs of the Suffering Servant (usccb.org) provides a Catholic perspective. This article also discusses four poetic sections from the Book of Isaiah known as the Songs of the Suffering Servant. Far too many misguided ones direct their anger toward our Creator, when fallacious corporate religion -not true religion from searching Scripture- is to blame. It was much angst over false teaching that motivated me to post “Upon this Rock – Using the Bible to prove the Bible”. David reveals his humanside and trials to confront temptations in this Psalm. He also reveal his faith and humility5 7 to seek forgiveness that wpithout asking shall never be received, in my opinion. Pattern. Excellent way to put it. We learn to pray from the example the psalm provide. thank you, Tom, for such a powerful reminder of our fragility, failings and yet our very hope. Sadly for so many, when Death is knocking, that is when they /we see their own limitations and shrotcomings…no longer can they /we be the savior of self as foolishly was thought throughout most of life…the scales fall and the / we actually see what they/ we actually are…the created subject to and in need of the Creator. I suppose that is why God allows us to die. It is the only way so many of us can understand the consequences of sin. I’m begining what looks to be a good read Tom…The Cost of our Silence by David Fiorazi—I touched briefly on the book in my post today as I’m not even past the introduction yet—but you are right—sin and death go hand and in hand…it just takes some a lifetime to figure that out! Good stuff, Tom. Repentance is also a powerful weapon of spiritual warfare. Nothing confuses the enemy more then something like, “God, have mercy on me, a sinner.” It can be challenging mindset to have because in the world we are often about “winning” or fighting or going to battle. It’s kind of counter intuitive to just surrender all in times of trouble. But we are speaking of surrendering all to God, not to people. I have wondered why Christians, why Jesus, are hated, but what if we don’t surrender to God? What is the choice? We surrender all those and all that we love to Satan, but the Deciever hides the truth of that choice.